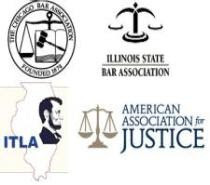 The Illinois Supreme Court Committee on Civil Jury Instructions has issued a new jury instruction regarding Deadlocked Juries. The new instruction, I.P.I. 1.06, is to be given in conjunction with I.P.I. 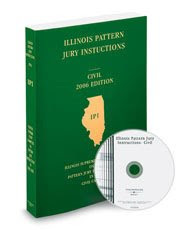 instruction 1.05 often referred to as the "Prim Instruction" because it is based on the 1972 Illinois Supreme Court case of People v. Prim. I.P.I. 1.06 provides the more "modern" charge to the jury as discussed (ironically) in the 1896 case of Allen v. United States. In a large proportion of cases absolute certainty cannot be expected nor does the law require it. If you fail to agree on a verdict the case must be retried. Any future jury must be chosen in the same manner you were chosen. There is no reason to believe the case would ever be submitted to a new jury more competent to decide it, or that the case can be tried any better or more exhaustively than it has been here, or that more or clearer evidence could be produced on behalf of any party. You should now retire and reconsider the evidence in light of the court's instructions. The Committee noted that this instruction may be given in the Court's discretion but only after I.P.I. 1.05 has been given and the jury still remains deadlocked. It is clear that the intention of the Committee was to give the Court an additional "tool" to deal with deadlocked juries as well as formalize the "Allen" instruction. If you have a question regarding this post or any matter regarding Civil Law, please contact Mike Keating of Keating Law Offices at mkeating@keatinglegal.com.